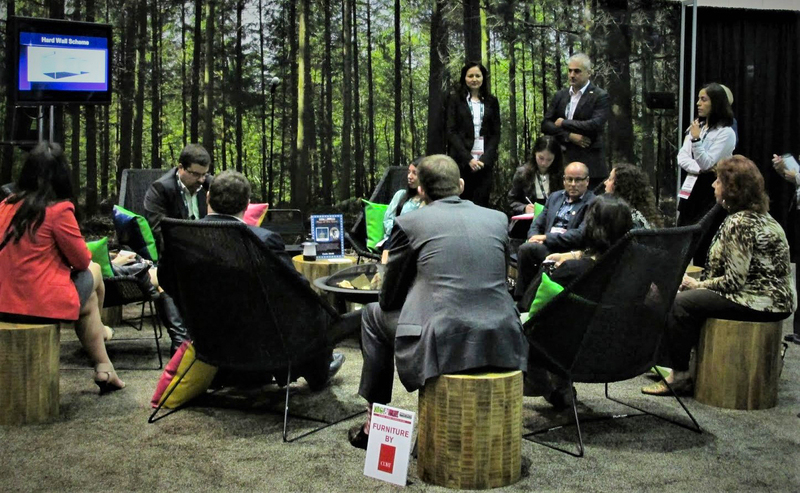 Finding innovative ways to create a sense of community throughout an event venue, from sensory lounges to experience areas, is where AGS shines. Tailored with your audiences in mind, these spaces can really keep participants immersed and holistically satisfied. At this year’s AAE, the design brief called for spaces for networking and education that incorporated new types of congregation. So, we built a dental lab in the exhibit hall where members were able to experience and learn how to perform the latest root canal procedures. It was a big hit that brought a new dynamic and energy to the floor. 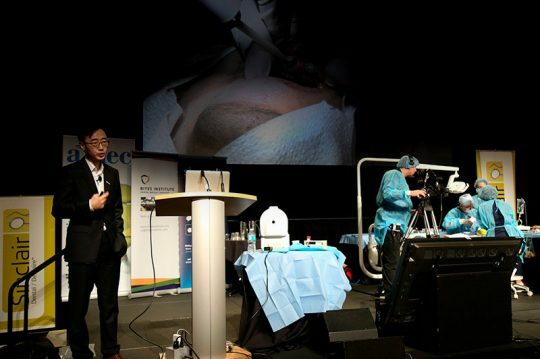 Next year’s plan is to expand by designing and erecting a Simulation Pavilion where new physicians and personnel can preview and experiment with a wider number of surgical advancements, new products and the latest technologies, all in real-time. 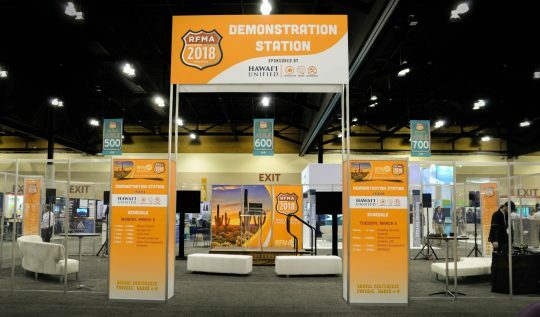 The popularity of a similar station (see below) built for RFMA, another long-standing AGS show, certainly bodes well for this new enhancement to the floor. 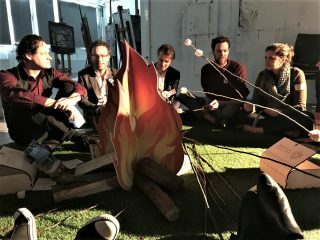 2019 we all see us designing a cool series of Campfire Sessions for several other shows… Picture wooden picnic tables, folding camp chairs, all inside tented rooms with campfire backlit walls. These smaller, more intimate sessions will focus on conversations (rather than projecting content or information) between senior members and newer participants, a deliberate nod to the importance of storytelling in medicine. Interior look and decor styled to fit individual show branding. Events may be business, but we all know they need to be fun and imaginative to inspire people. We built numerous gamification elements this year, from recreational lounges and this fun Charity Wheel. 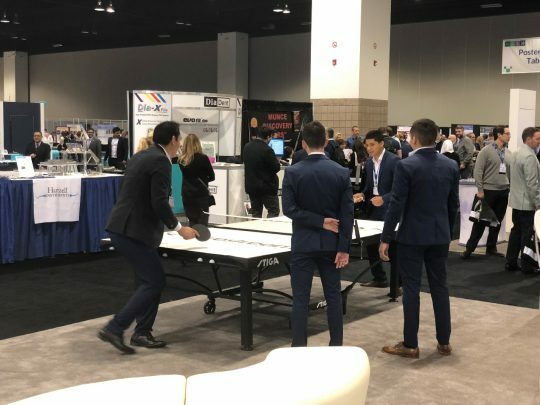 We also created the perfect venue for the first annual AAE Ping Pong Charity Competition, which offered plenty of great sponsorship opportunities.